Lenders account for all liabilities based upon the minimum payment you’re obligated to make to your respective creditor. You could have a car loan for $30,000 and the balance has no bearing on your ability to close on a house, but rather the payment associated with that balance is a game changer. This is key, especially, if you proactively prepay your auto loan in effort to pay off the debt faster. If you choose to pay more, that’s your prerogative, but for the purposes of qualifying for a mortgage, the minimum payments are king. 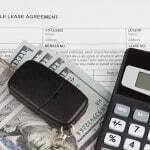 Say you have a car payment for $500 per month, you have two more years left on your lease, that would be the same if you had a personal car loan for $500 per month with a longer-term obligation, same reasoning applies, minimum payment is what lenders will use to calculate how the liability will affect your ability to purchase a home. Having a clean auto loan payment history will do wonders for your credit score, actually helps you qualify for a mortgage, with a favorable credit rating. Conversely, auto loan late payments can destroy a credit score. Your credit score should be a bare minimum of 620 for mortgage eligibility these days. Understand if your credit scores lands in the 620 range, the lender is going to pay very close attention to your credit history as well as your capacity to handle a mortgage payment. They’re going to particularly keep a close eye on any pattern of payments related to any car loan you presently have or have had in the past, moreover, what the payment patterns reveal for showing good character. Buying power is measured as the spread (difference) between income and liability payments, the bigger this gap is, the bigger the mortgage payment could be, translating into buying ability. In other words, if you have payment obligations and your income is four times the amount of the minimum monthly payments are, that’s a healthy financial position to be in. For a ratio of 2:1, it’s every two dollars of income to offset one dollar of debt. For example if you have car loan payment at $400 per month, in order for that payment to not hurt your ability to buy a house, you need $800 in income to offset that debt. In practicality, next time you’re at the car dealership, and you’re taking on a$400 per month car payment and you know buying house is in your future, talk to your employer about that $9,600 a year raise or promotion you are eligible for. Why $9600 in this example? $9,600 per year on a monthly basis is $800 per month, which is the minimum income needed to offset a $400 per month car payment. Buy House Or Buy A Car First? In short, depends on how far away you are from closing escrow on a house. If it’s a longer-term projection for getting your keys, and your income is poised to rise, may make sense to give credence to purchasing a house later on when financial stability is more grounded. On the other hand, if you know you need to buy a car and buying a house is in the imminent future, buy the house first when the liabilities are lower. Because qualifying for car loan does not entail the extent of credit analysis a home purchase does, closing on house first ahead of the car is a more makes sense move. If the car purchase is a must and a home purchase is in the near future, first check with a lender to determine if you can qualify for the desired purchase price amount given your credit score, down payment capability, assets and debt ratio ( amount of current debt + proposed mortgage payment ÷ monthly income). If qualifying for your desired purchase amount becomes cumbersome things can become more tricky as you’ll need to pay off debt to qualify. Would be buyers take heed…..
Not all lenders allow you to pay off debt to qualify for a home loan. Some lenders might require you to pay off debt to qualify and subsequently close the account. Others simply won’t allow it wherein you would have to pay off the liability first in full, them authorize the lender pull a the credit report. Doing so, does not necessarily adversely affect your credit score so long as you’re not applying for different types of credit entities in around the same time you’re applying for a home loan. Lastly, if your pre-tax income is eroded by consumer debt like auto debts, even credit cards or personal loans, more significance is given to size of down payment, paying off the debt entirely, procuring more income or obtaining a co-signor. Looking to purchase a home? How about a second home or investment property? Start by getting a mortgage rate quote with us today, it’s completely free!